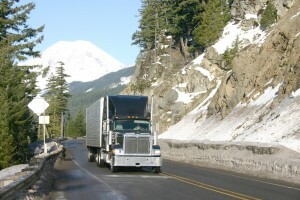 When choosing the right tractor trailer for your freight shipment, you may want to ask, “What are my tractor trailer options?” and “how do I know this is the best option for my freight shipment?” These are good questions, but when choosing a tractor-trailer you should also take things like budget, timeline, and what you’re shipping into consideration. Let’s say you’re transporting cars, for example. If you’re transporting high-end cars, you may want to choose an enclosed car transport over open transport for greater protection. An open transport means the car sits on an open trailer pulled by a car or truck. 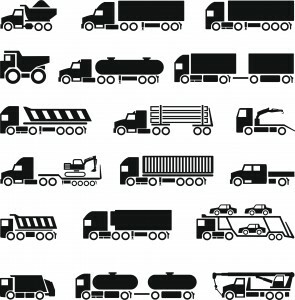 If you’re transporting multiple cars, you’ll want to look into multi-car, double-level tractor-trailers. These are technically open transport tractor-trailers, but they allow you to carry more cars over more distance. However, they also have their downfall. Because they are carrying such a large load, these tractor-trailers are slower and can’t navigate well in residential areas. If you’re looking for a faster option, look into one-level multi-car trailers. These trailers can carry about 2 or 3 cars at a time, and although they are more expensive, the driver can easily navigate through all needed areas. 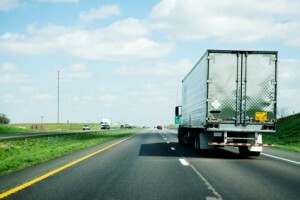 Before you choose just any tractor-trailer for your freight, be sure to do your research. Ask yourself the questions mentioned above, and see what your needs and wants are for your freight shipment. If you have questions about choosing a tractor-trailer for your freight, contact Evan Transportation. According to a recent report by the Department of Transportation, a “Final Rule” will be published regarding the use of electronic devices with trucks come September of 2015. Once these mandates have been published, they will begin to be enforced by the law come September of 2017. This recent report released by the Department of Transportation also stated that a mandate regarding the use of speed limiting devices should be published in March of 2015. These rules have been discussed for a few years now and trucking companies have been waiting to see how these new device rules will affect their business productivity. A rule will be in place to prevent different carriers from pushing drivers from violating different federal rules, which includes the hours of service in which the drivers operate. A rule will be in place which regarding the liability insurance minimum that carriers have in place. The rule will not be in place to increase the minimum, but to instead record the different minimums being held by numerous carriers. A new rule will be in place that allows Clearinghouse to create a database for drivers that have either refused or failed an alcohol or drug test. The long awaited “Safety Fitness Determination” rule will also be in place after 2015, which will allow different agencies to use data collected to determine scores for different carriers. What Makes a Reliable Freight Company? With so many options for freight companies, it can be hard to determine which companies are more beneficial than others. When it comes to choosing a freight company, it’s important to keep in mind what makes a successful and prominent freight company like Evan Transportation. A major indication of the reliability of a freight company is their willingness to give times regarding your freight pickup and delivery. A freight company should never avoid giving you an expected pick up and arrival time for your freight shipment. If they fail to provide a time, it usually means they never arrive at the time they do provide, meaning they are usually unreliable. Another indication of the freight company is the rates they provide. While everyone is looking for a bargain in today’s tough economy, extremely low rates can indicate the inability of a company to handle emergencies or the quality of their service. You want to be able to trust the driver who is transporting your freight. This means that if any issues should arise during the transportation process, your driver should discuss the matter with you. A driver who is unwilling to discuss problems with you is a driver that should probably not be trusted with your freight. While having an open line of communication with your driver is important, an open line of communication with the freight office is even more imperative. Should a problem or question arise regarding your freight, it should never be a problem to reach the freight office. You should never feel as though your freight company is keeping anything from you regarding your freight shipment. Posted in Evan Transportation, Freight Shipping, Semi Trucks, Tractor Trailers | Comments Off on What Makes a Reliable Freight Company?